This is the second 'Thank You' card I finished on the 27th April. 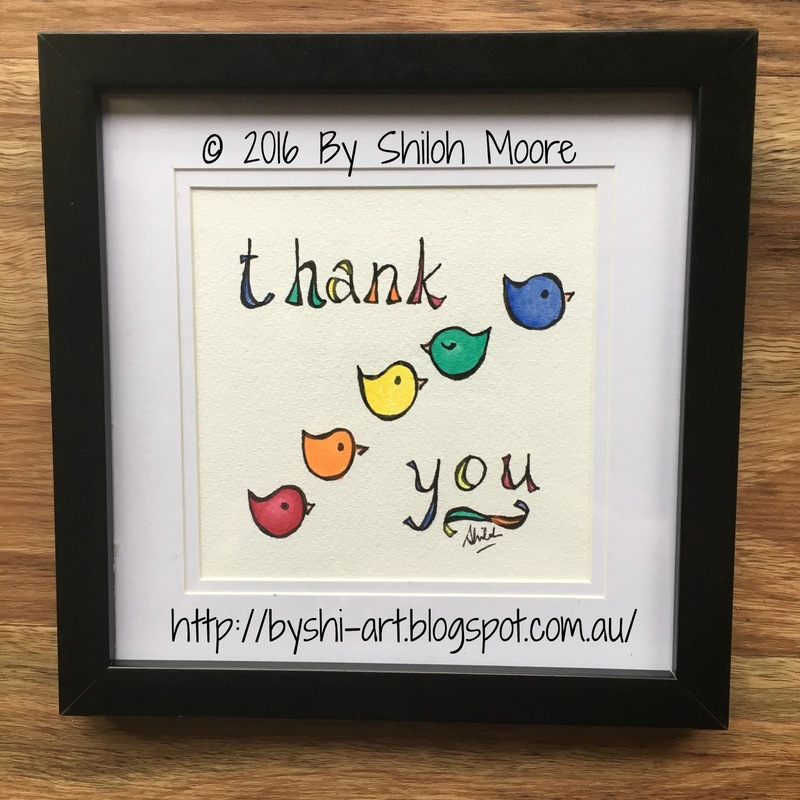 I love simplified birdies and used rainbow colours to bring them alive. Note the green one is resting and doing its own thing, backwards to all the other brightly alert birdies. No prizes for guessing which birdie I identify with! I include the green resting birdie, who is cared for by all the other birds who let her join in, and note the rainbow wouldn't be complete without her. It's a thank you card for all who look after me and let me join in, and for all those other green birdies out there, you are an important part of the rainbow!